Pray, Work, Rest & Play Tired of the busyness & no time together? Strengthen the Mr. & Mrs. A family is only as strong as the marriage. while in the thick of family chaos. 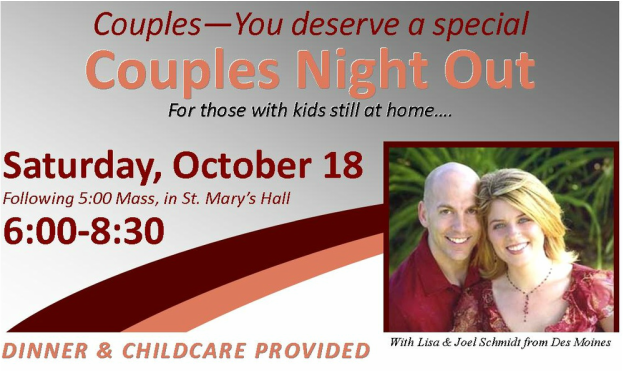 Joel and Lisa, married with three children, launched The Practicing Catholic in 2010 where they write about living an intentionally, joyfully Catholic life. Lisa is the co-host of Catholic Women Now. Joel is in formation to be ordained to the permanent diaconate in 2014 and has developed a ministry to promote healing from miscarriage, stillbirth, and infant loss. We’re not perfect, and we don’t profess to be. But we’re trying … practicing, you might say.